Let's get the conversation started. Reach us by phone or email so we can hear more about your plans and ideas. WOW! Check out our latest project. Learn how our designs ensure that your brand is infused throughout your facility via stylish finishing touches. IBG CEO, Patrick Sende, shares how IBG’s strategic Planning and Consulting services can make branch transformation HAPPEN for IBG’s clients. 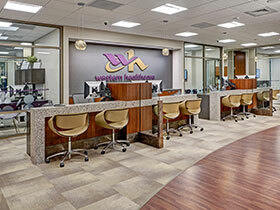 With experience in California, Idaho, Nevada, Colorado, Utah, Alaska, Washington, Wyoming and beyond, our credit union branch design and build projects reflect your unique institution and member needs. Trust Integrated Builders Group for comprehensive, custom strategy, design and build solutions, meticulous attention to detail, and an expert team devoted to your needs. © 2019 Integrated Builders Group. All Rights Reserved. Website designed by ZAG Interactive.